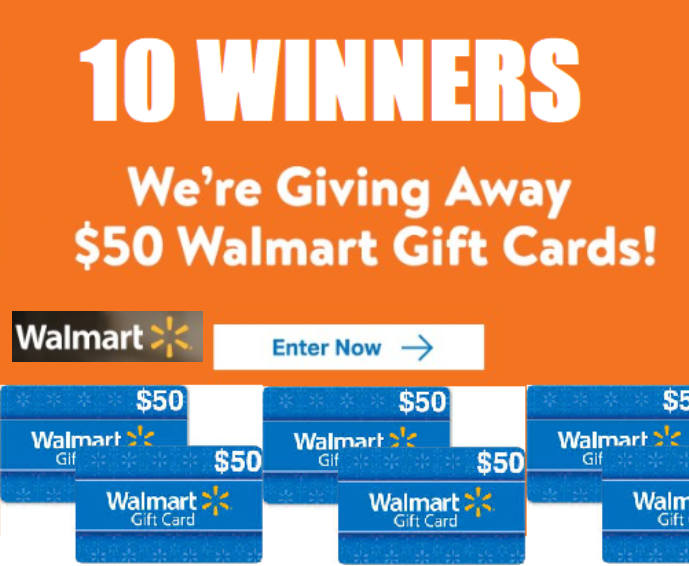 Walmart $50 Gift Card Giveaway - 10 Winners. 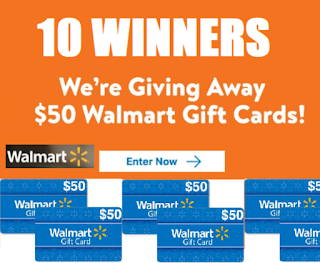 10 Winners, Limit One Entry, Ends 2/28/19. We always have about 4-5 winners in their giveaways each time. Not many people know about them. All you have to do is enter your e-mail address, takes 3 seconds. ENTER NOW AND GOOD LUCK! !